New Delhi is a charismatic capital of India attracting people from all over the world by its magnetic charm. Delhi is like a dream destination for all shopaholics around the world (If you are not the one then also you’re welcome to feel the tempting spirit of Delhi residing in these bazaars). 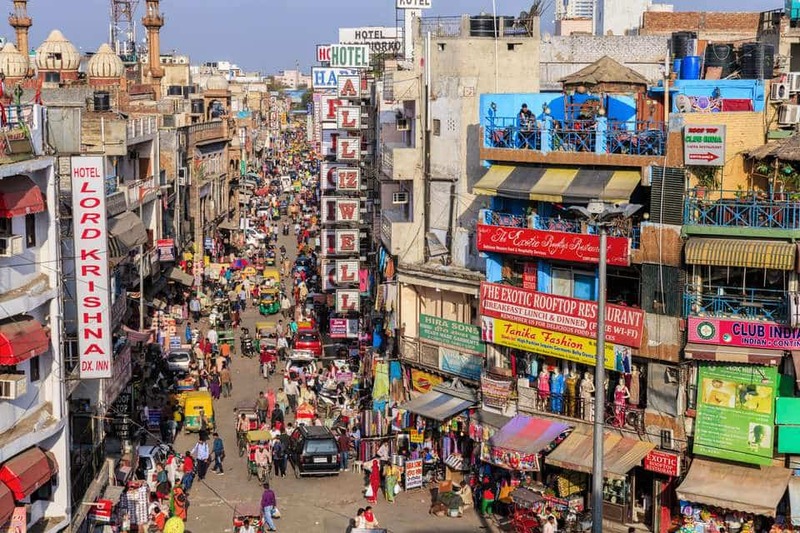 At these super colorful bazaars for shopping in Delhi, you’ll get to see all the different types of Indian attires, latest wearable, Indian handicrafts, artworks, jewels, footwear and everything else you dreamt off, the list cannot end ever (after all you are Shopping in Delhi’s bazaars). So, in this article, we are going to assist you with the best shopping experience in Delhi. Go through the complete article to know about the 7 best-shopping markets of Delhi where the real fun of shopping in Delhi can be felt. This is the most happening craft bazaar of India. Dilli Haat is known for serving products of art & craft made exclusively in India and food products from different states of India. While shopping in Delhi at Dilli Haat, indulge in the folk performances performed by the artists from different parts of the country. 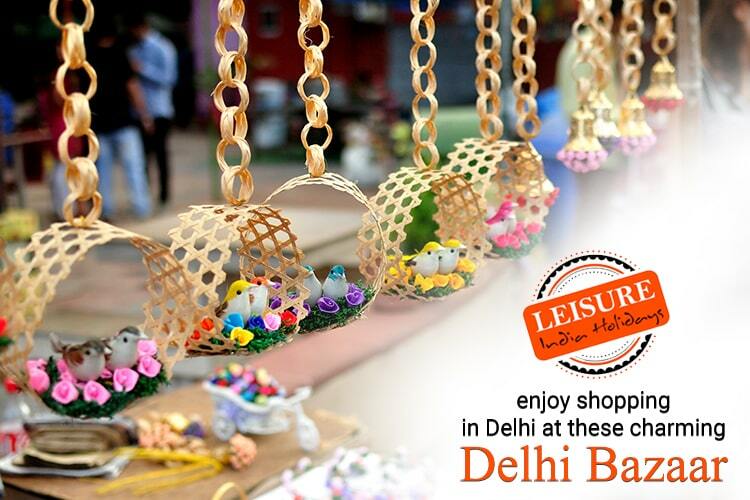 Dilli Haat creates a fair deal to explore with its village style ambiance (Small thatched roof cottages) and offers a great variety of stuff which you can’t miss putting in your kitty. • What to Buy: Indian handcrafts and artifacts. Chandni Chowk is one of the oldest bazaars of India maintaining its roots from the regal Mughal era. You will find oodles of sub bazaars in this grand Chandni Chowk bazaar selling a great mixture of products such as silver jewelry, sarees, trendy laces, footwear, books, street food, stationery, textiles and a long list waiting just for you to explore. Don’t miss to tickle your taste buds with the mouth-watering street food in Chandni Chowk. • Opening Hours: Daily except for Sundays. • What to Buy: Fabrics, Silver jewelry, and electronic goods. For Shopping in Delhi, Connaught Palace (CP) is one of the most preferred destinations in Delhi. Even you can call this place as the heart of shopping in Delhi. CP becomes extravagant with the oldest underground bazaar of India, Palika Bazaar. The other segments of Connaught Palace consist of small kiosks selling stuff at cheap rates to classy boutique shops with extra expensive price tags and tiny food joints to all big brand eateries. Make your own reason to hang out at the heart of Delhi and enjoy your most needed star buck’s cappuccino just at CP. • Location: Connaught Palace, Near Rajiv Chowk Metro Station, New Delhi. • What to Buy: Branded stuff, Electronic goods, sports items, books, etc. This is one more chaotic place for shopping in Delhi for sarees and clothes, having shops selling everything from a small needle to heavy expensive jewelry. Do not forget to try out trendy henna tattoos on your palms by the talented henna artist in the delightful streets of Lajpat Nagar to imprint the true Indian cultural picture at your wrists. • Opening Hours: Daily except for Mondays. • What to Buy: Indian clothing, shoes, bags, accessories (including Indian bangles) and home furnishings. 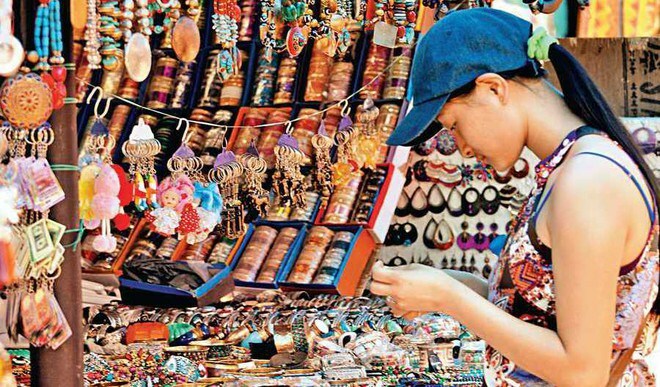 Sharp your bargaining skills to catch your desired stuff from the fascinating collection of Paharganj bazaar. 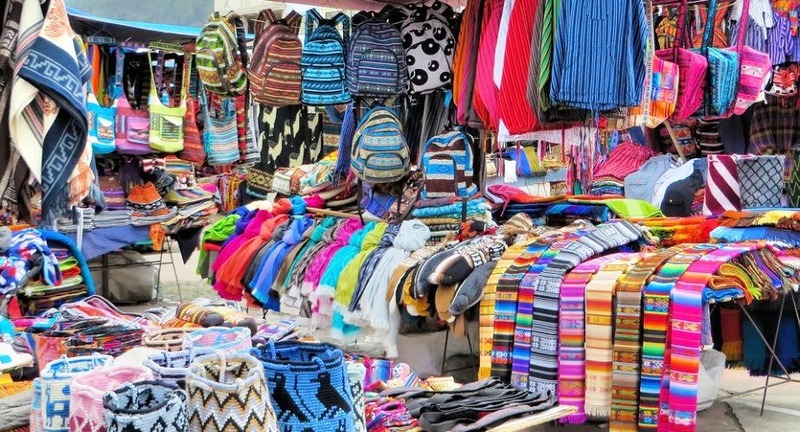 This market is a hub of unique stuff such as beaded jewelry, dupattas, Leather bag, brassware, etc, most of which is actually exported. This is one of the bazaars for designer shopping in Delhi, helping you out to create your souvenir collection causing little harm to your wallet and providing that ease to export your chosen stuff back home. • Location: Paharganj Main Bazaar, opposite the New Delhi Railway Station. • Opening Hours: Daily until around 9 p.m.
• What to Buy: Clothes, shoes, jewelry, books, music, textiles, handicrafts, hookah pipes, incense. 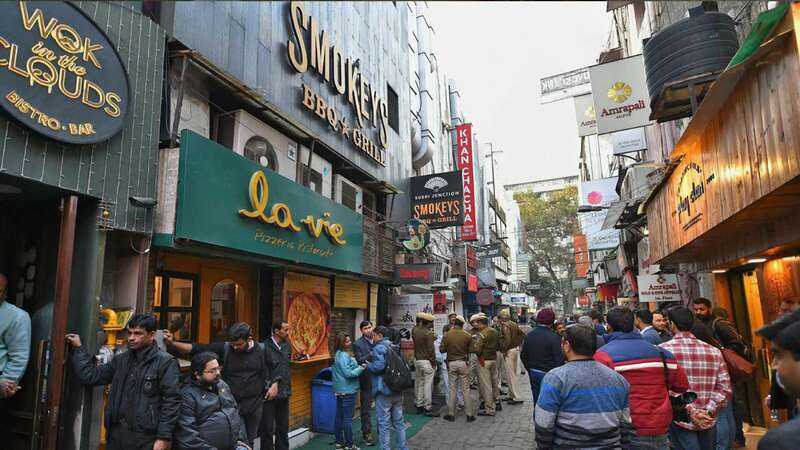 While you are shopping in Delhi, Karol Bagh is another classical market of Delhi blended with local attractive goodies shops and branded franchisee stores. Visit the Karol Bagh Bazaar for whatever thing you want to shop for, however, most of the Indian girls love to shop their trendy bridal trousseau from Karol Bagh bazaar. You may get one too. • Location: Karol Bagh, Main Delhi. • What to Buy: Bridal wear, sarees, Indian clothing, shoes, bags, accessories (including Indian bangles), and home furnishings. 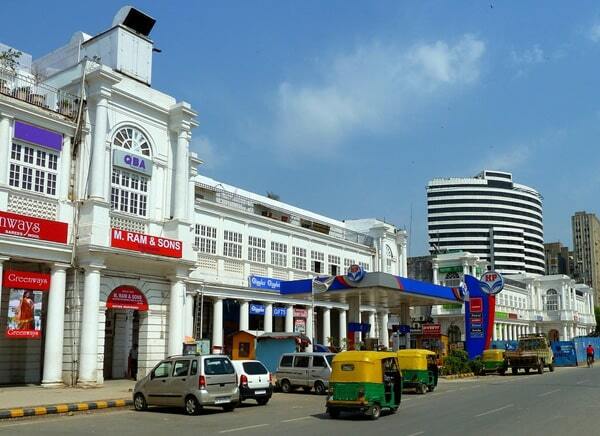 Khan market, a small and U-shaped market is one cosmopolitan shopping destination of Delhi for the elite Delhiites. It is ranked among the top most expensive retail high street in the world. Get a chance to walk in the high streets of this posh market to shop for classy ethnics, bestseller books, art pieces, Ayurveda, home decors or you can relax in some great lounges. 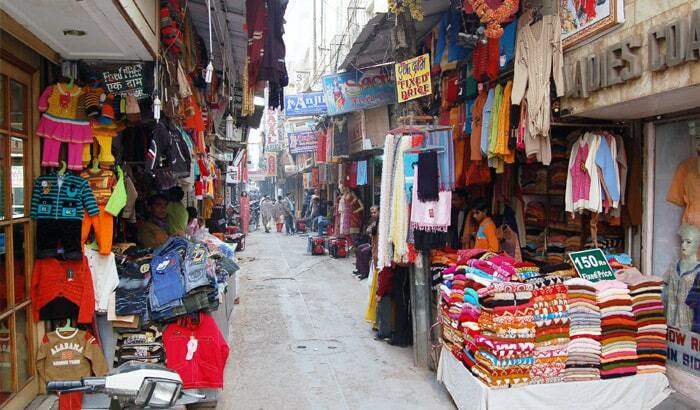 Khan Market is the perfect place for ethnic shopping in Delhi. • Location: South New Delhi, not far from India Gate. • What to Buy: Books, music, branded and tailored clothes, Ayurvedic food and cosmetics, and lamps. So, these are the 7 bazaars for shopping in Delhi. With this, my work ends but your work starts here, make your Delhi shopping plans & rush to India with a smile.